If you wanted an excuse to be too hungover to experience the commercial disappointment of Valentine's Day, House of Yes and Braven Brewing Company have just the solution. The beloved Wyckoff Avenue venue is hosting the second annual Braven Ball this Monday, February 13, to celebrate Braven's second year in business. "We hosted our first Braven Ball at House of Yes last year as our way of thanking the Bushwick community for its support during our first year in business. Bushwick drank A LOT of Braven in 2015!" Braven co-owner Marshall Thompson tells Bushwick Daily. "Old friends and new came out to the event to toast another small business success in the neighborhood. We hope this year even more friends and fans alike turn up in wild black and white costumes to get into the creative spirit." 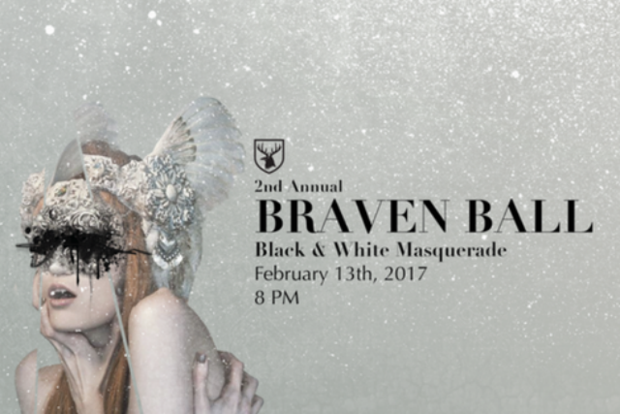 Like the most legendary affair in New York history, this year's Braven Ball theme is black and white masquerade. Guests are invited to enjoy a night of aerialists and other performers, fabulous DJ sets and an hour of Braven brews on the house. Monday shmonday— we will certainly be there! RSVP here. Featured image: courtesy of Braven Brewing Company and House of Yes.